After David Plouffe declared yesterday on Meet the Press that Mitt Romney "has no core," Republicans flew into a state of high dudgeon. GOP consultant Mike Murphy, for one, called it a "step too far" and demanded a White House apology for the remark. But if this is a step too far, then it's one that's been taken long before now. 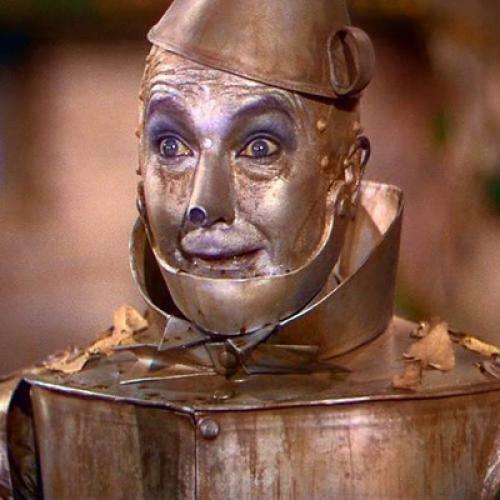 The Obama reelection team and the DNC have clearly decided that simply branding Romney a flip-flopper is not sufficient -- that to really capture his lack of conviction, one needs to take inspiration from L. Frank Baum and declare Romney to be a hollow man, a man lacking an essential something inside. When the DNC earlier this month debuted Whichmitt.com, a new site mocking Romney's switcheroos, party spokesman Brad Woodhouse said it was meant to demonstrate that Romney "has no core convictions or values." David Axelrod took it a step further when he declared on the CBS Early Morning Show on October 19 that "there is a sense there is no core to him." Plouffe did not cross a line -- he was repeating a line. Hmm. A politician who considers himself driven more by case-by-case pragmatism than any overarching philosophy, who likes to get all the smartest people in the room to hash out an issue, probing each side with questions and counters to arrive at some kind of workable middle ground. Does that sound familiar? Barack Obama has managed to avoid the flip-flopper label; his harshest critics on the other side, after all, argue that there is a very clear conviction within him, that of an ardent redistributionist; his sympathetic critics on the left, meanwhile, chalk up his equivocations more to his conciliatory instincts than to mere political trimming. Still, it's striking that for all the talk of next year's election representing a grand clash of political visions, a Romney-Obama race would also represent a contest between two men who are, despite their sharply contrasting backgrounds, perhaps not as dissimilar as they would like to believe in some aspects of leadership and decision-making.